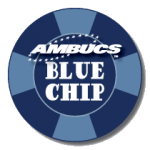 The quarterly Blue Chip Report chronicles the membership development of each AMBUCS Chapter and of the organization as a whole. The data contained in the report is gathered from the chapters via the Member Additions and Member Deletions Forms. In order to encourage a sustained level of growth, each chapter is assigned a yearly net member gain goal based on the number of members at start-of-year. Those chapters that reach their goal at end-of-year become a Blue Chip Chapter and receive recognition at National Conference and a banner patch. The quarterly District Governor Scorecard Report similarly chronicles the goals achieved by each District Governor. The points tallied in the report are gathered from the chapters via the District Governor 1st Quarter (due Sept 10), District Governor Scorecard 2nd Quarter (due Dec 10), District Governor Scorecard 3rd Quarter (due March 10), and District Governor Scorecard 4th Quarter (due June 10) Forms. 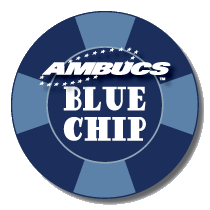 AMBUCS hosts two nationwide campaigns to recruit new members. Branding Time runs annually from October 1 through November 30. Each chapter much achieve a net gain of at least five new members to become a Top Spread Chapter! Members that achieve a Branding Iron Pin recruit three new members during Branding Time. 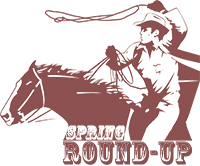 Spring Round-Up runs annually from March 1 through April 30. Each chapter much achieve a net gain of at least five new members to become a Cowpoke Chapter! Members that achieve a Lasso Pin recruit three new members during Spring Round-Up. 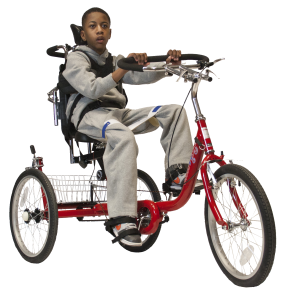 In the fall and spring months chapters often begin to pick up their activity in fundraising, programs and socials. It is an excellent time to bring in new members and easily involve them with the increased activities of your chapter. How can your chapter participate? It’s easy! For Branding Time in the fall, hold a membership contest. For Spring Round-Up, plan to invite potential new members to a chapter event. What’s in it for your chapter? New Members…and Scorecard points.